I get lots of questions about database execution plan properties and units of measure. It's pretty easy to get this info — just look at Microsoft's ShowPlan Schema. Have you ever looked at the properties of an execution plan and wondered what the units of measure were? I know I have. I also get the question pretty frequently about all sorts of properties. 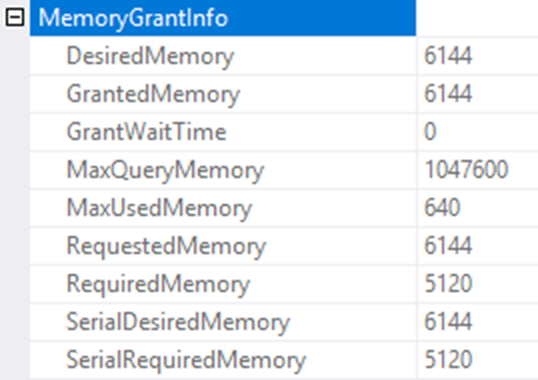 What does EstimatedAvailableMemoryGrant display its units in, anyway? For that matter, what the heck is an EstimatedAvailableMemoryGrant? The answer to those questions and a whole lot more is pretty easy to find. You just have to look at the ShowPlan Schema. Microsoft has all the schemas published, going back to 2005. The next time you're faced with a question such as, "What are the units of measure of the MemoryGrantInfo?" Or, "What the heck is SerialDesiredMemory and why is it exactly matching RequestedMemory?" — you just have to go and look at the Schema. That's taken directly from the 2017 schema. The units of measure are KB. Prior to today, I didn't know this information existed. This information is available and has been for years and years. I just found it. I thought I'd share. Now you have an authoritative resource for exactly what some values mean within an execution plan. I sure could have used this the first two times I wrote that book on execution plans. Luckily, I'm working my way through the third edition right now. I am adding this to the information within the book.